TES have produced a range of official stationery and made it available in this section for use by TES staff members. The stationery provided is designed to ensure a consistent template is used throughout our organisation. For further information or to request additional stationery please contact the TES Marketing department. Official TES headed paper is available from the TES office for use on letters or other official correspondence. An electronic version is also available should it be required. To request either version please contact the TES Marketing department. Official TES compliment slips are available from the TES office. Please contact the TES Marketing department for further information. 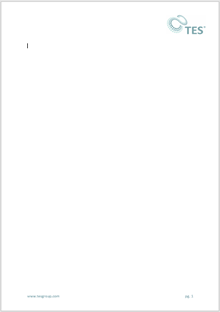 The Microsoft Word Template has been provided to ensure consistency between all documents created using Microsoft Word. 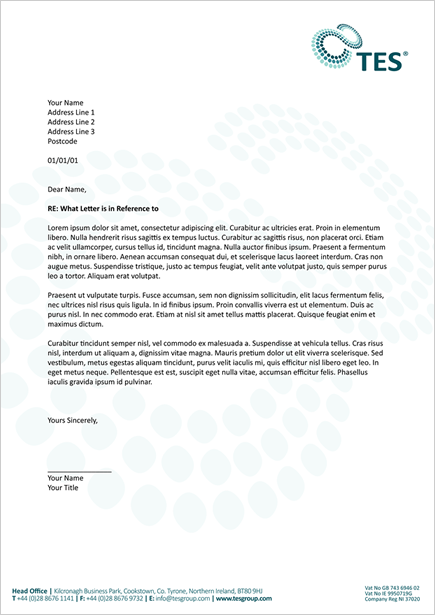 This document has been created using the TES Master Logo and Isolation area.